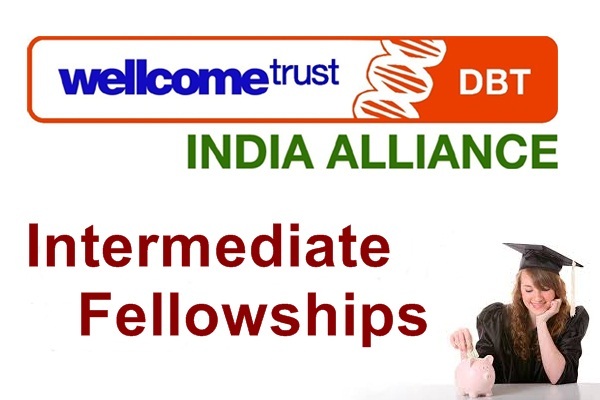 Intermediate Fellowships for Clinicians and Public Health Researchers in India is launched by the Wellcome Trust/ DBT India Alliance. This Fellowship will provide a unique opportunity for those Clinicians and Public Health Researchers to pursue an independent research program at an academic institution in India. The Clinicians and Public Health Research Fellows may use this opportunity to pursue a PhD on the India Alliance funded research. Additional allowances for scientifically justified visits (International training and travel )of up to one year to to an external laboratory either in India or abroad. The total award for an Intermediate Fellowship typically amounts to INR 3.8 Crores. This includes the costs requested by the applicant as well as the set contributions by the India Alliance. Costs requested by the applicant must commensurate with their research proposal and should be fully justified in the full application. Inadequate justifications may result in costs being revised. It is not mandatory for the clinician and public health researchers to have a PhD in order to apply to the Fellowships. Their research experience and qualifications are used by the office to advise on the eligibility. The candidates need not be an Indian national or of Indian origin but should be willing to establish an independent research career in India. Applicants are expected to answer an original biomedical research question. A not-for-profit Host Institution in India that will administer the Fellowship for the entire duration of the Fellowship (5 years). A salaried position or commitment to a salaried position at the Host Institution is not required. A sponsor at the Host Institution, who can guarantee space and resources for the duration of the award. Candidates should download the application form from India Alliance website at www.wellcomedbt.org . Applicants are encouraged to contact India Alliance at info@wellcomedbt.org for any queries. The application is assessed to check the eligibility within one month of the submission deadline. If successful, it is subjected to an appropriate peer-review and will be considered by the appropriate Selection Committee and, if successful, candidates will be short-listed for interview.Short-listed candidates will be notified two weeks before the interview date.